Everyone loves a good conspiracy theory; there are conspiracy theories that exist for everything from the assassination of Abraham Lincoln to the destruction of the Twin Towers on 9/11. 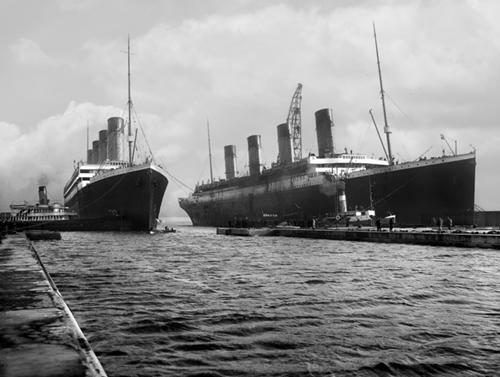 One of the most interesting conspiracies involves the RMS Titanic and her sister ship the RMS Olympic. Everyone knows the story of the greatest marine disaster ever: the Titanic struck an iceberg and sank on her maiden voyage. However, the documentary Titanic: The Shocking Truth states that it was not the Titanic that sank, but was switched out for sister ship the Olympic. The first question that anyone is going to ask when they watch this documentary is why? Why would so many people go through so much trouble to switch out the Titanic for her sister ship the Olympic? The answer to the question as to why switch ships is the Olympic was damaged badly when it struck the warship the HMS Hawke. The collision did not seem like much, but there was a hole in the stern section of the Olympic. The damage was not just to her steel plating, but to her inner frame. 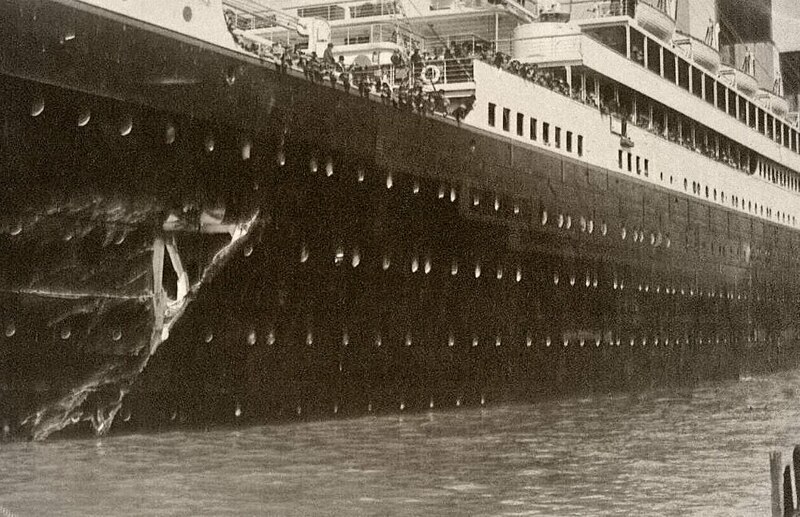 According to the documentary, the Olympic’s damage was so severe that she would never pass another Board of Trade inspection again, and even with repair work, she would have a permanent list to one side. Now Ismay faced a challenge because the White Star Line had invested millions to have the Olympic built, but now she was so badly damaged that she could not sail. The Titanic was near completion, and with her sister ship badly damaged, Ismay decided that switching the two ships was all that could be done. With White Star Line now facing the possibility of bankruptcy, there was only one thing to do: switch the ships out, wreck the Titanic, although now it’s really the Olympic in disguise, and collect the insurance money to save everyone from financial ruin. With the Olympic in bad shape and the Titanic nearly complete, White Star Line was in trouble financially. 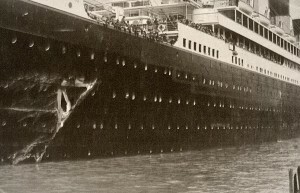 The damage to the Olympic was ruled to be the fault of the bigger vessel, and the insurance company refused to pay out for the damage to the ship. Since the White Star Line had Harland and Wolff build all of their ships, the shipyard too was in trouble if something was to happen to their biggest client. Facing the loss of the White Star Line and Harland and Wolff, Ismay and Lord Pirrie came up with a grand plan that would give the White Star line enough money to stay in business and also to take care of the badly damaged Olympic that was never going to sail right again. The plan was to have Captain Smith purposely wreck the Titanic, have the Californian come take all of the passengers away, and then the White Star Line could collect the huge insurance policy of $15 million dollars. According to the documentary, Captain Smith refused to participate in such a plan, but Ismay pointed out his questionable safety record and claimed that everything was going to come out fine because no one was going to get hurt. He could retire with his pay, and the company could get its insurance money for the loss. However, on the night of the disaster, the plan failed miserably, and while the sinking of the ship did happen, the fact that so many people died, including Captain Smith, was not what was supposed to happen. While watching the documentary, viewers are presented with evidence of the swapping out of Titanic and Olympic. The two sister ships were quickly swapped out over the weekend, and the biggest task was just to remove the bow name plate and the name of the ship on the stern. Also, the Titanic was built with bare floors, but in order to make the switch easier, Ismay ordered the floors to be covered in carpet, which was to cover the fact that the Olympic had tile floors, and the worn marks would be easily seen. With brute force tactics, any Harland and Wolff workers that realized that the two ships were switched out would be quickly silenced under threat of the loss of the only means of income to support their families. Under the threat of unemployment and not being able to support their families, the workers who knew of the switch remained silent. The documentary Titanic: The Shocking Truth talks about how the most famous ship of the world did not sink, but in fact had a grand career taking passengers back and forth across the Atlantic Ocean. The Olympic had been badly damaged from a collision with a warship and was beyond repair. In order to save the White Star Line from ruin, Ismay and Pirrie came up with the idea to swap the Olympic for her identical twin sister, the Titanic. 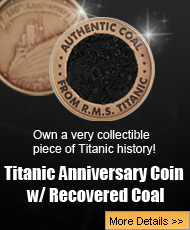 The entire Titanic disaster was nothing more than an insurance scam gone wrong, and the documentary offers proof of which ship is truly lying on the bottom of the ocean. Did the Titanic really sink or was it her badly damaged sister the Olympic? The answer to the question is truly up to the viewer, but the viewer should also keep in mind that there is overwhelming evidence that it is really the Titanic on the bottom of the ocean and that the Olympic was scrapped in 1935. However, everyone loves a good conspiracy, and apparently even the largest ship in the world has its own conspiracy that people can choose to believe or not. 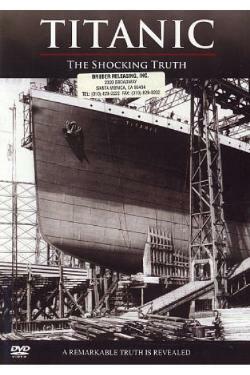 Previous post: A Titanic Controversy – Was Stanley Lord to Blame For The Entire Titanic Disaster?